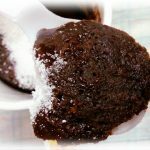 Nutella Mug Cake is a delicious small serve mug make, made in a microwave, using only 3 ingredients. 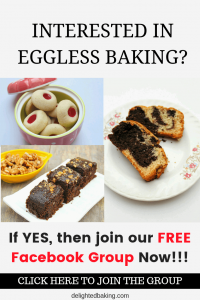 A perfect dessert when you are craving for a cake but don’t want to bake a full average sized cake. We all love desserts. Somewhere everyone likes to eat sweet desserts like cakes, ice creams, mithais etc. But many a times, we don’t have time for preparing desserts, especially if it’s only for one person, right? So what to do. Here’s a solution. Go for a MUG CAKE. Yes, you heard it right – A mug cake. For those who are not aware of mug cakes, A Mug cake is a cake which is prepared in a mug, yeah the same mug in which we drink tea or coffee. Yes! You can make a cake in a mug, but the only requirement is that it should be microwave safe, as mug cakes are usually prepared in a microwave. Mug Cake is a really nice dessert. It is easy to make. It needs only a few ingredients. It is perfect when you want to eat a cake but don’t want to bake a big cake. There is a huge variety of mug cakes but today we would be trying an easy yet so tasty nutella mug cake. Now we all love Nutella, isn’t it? This Mug Cake is prepared in the microwave. So this is a microwave special recipe. You just need to heat this cake mixture for a minute and your mug cake is ready. You can start making this mug cake just at the end of lunch or dinner and in a few minutes, you get hot and spongy mug cake. Also, suppose you organize your kid’s birthday party at your home. You can make these easy nutella mug cakes for all the kids you have come to attend your kid’s birthday party. They would love to eat this nutella mug cake. This would be the perfect , after dinner dessert, for them. Nutella Mug Cake is a delicious small serve mug make, made in a microwave. It is chocolaty and full of nutella's taste. A perfect dessert when you are craving for a cake but don't want to bake a full average sized cake. Add nutella. NOTE - Nutella should be at room temperature. Mix nutella and egg together. Add flour. Mix properly. Microwave it for 1 minute. (Remember you don't have to bake it in the convection mode of the microwave. You simply have to heat this mixture as you reheat your food. The heat will bake your mug cake). A yummy nutella mug cake is ready!